Since April 22, 2010 - the Rugby League World has been stunned by the revelations that the Melbourne Storm Rugby League Club had significantly breached the NRL's Salary Cap and had been stripped off their two Premierships in 2007 & 2009. The breaches were well disguised from 2006 onwards and although we learned of the cap rorting from the NRL in April - the full investigation into what had actually been taking place was yet to be confirmed. Today, Thursday July 15, News Limited's John Hartigan & Peter Macourt fronted a press conference to disclose a summary of the findings from accounting firm Deloitte's investigation into the Salary Cap Breaches by the Melbourne Storm Rugby League Club. From 2006 to 2010 the Melbourne Storm breached the NRL's Salary Cap by $3.17 million. Forecasts had the Storm breaching the 2011 Salary Cap (approx $4.2m) by $1.3m. News Limited's John Hartigan believed the punishments handed down by the NRL (stripping of 2 Premierships, Minor Premierships, a fine & the fact the Storm would play for zero points in 2010 competition) saying they were 'warranted'. Hartigan's stance on the situation has been constant throughout, disappointment mixed with a desire to flush the 'rats' out of the club. In stark contrast to one of the former independent directors Dr. Rob Moodie who expressed regret and disbelief at the April 22 Press Conference and said the club accepted the NRL's punishment... only to turn around a week or two later and launch legal action against the NRL because he and other directors believed the club had been treated too harshly. Before the release of this Deloitte report - Hartigan informed all four directors involved in the legal action were released from their roles on the Melbourne Storm Board. One, the players were being paid by third party sources outside of the cap but there is no evidence the players knew this was being done so outside of the cap; Two, no players came forward and took up Deloitte's offer of full privacy if the players were involved in the investigation - Hartigan was most disappointed in this aspect. The Players Involved are: Will Chambers, Michael Crocker, Cooper Cronk, Matt Geyer, Ryan Hoffman, Greg Inglis, Dallas Johnson, Antonio Kaufusi, Anthony Quinn, Billy Slater, Cameron Smith, Steve Turner & Brett White. Again it must be stressed - no evidence suggests any player knew of the Cap rorting and no player came forward to help in the investigation. Melbourne Coach Craig Bellamy made himself available to the Deloitte investigation and Hartigan said the coach was clear of any wrongdoing. Hartigan also endorsed Bellamy and Storm official Frank Ponissi to restore the club in the wake of these findings. Five members of the Melbourne Storm Management Team from 2006-2010 were implicated as being part of the 'wide ranging and elaborate cheating' of the Salary Cap. Hartigan did not go into specifics but did name Brian Waldron, Matt Hansen, Paul Gregory, Cameron Vale & Peter O'Sullivan. It was stressed that while naming these five - not every member necessarily masterminded it - but they were involved in carrying out the deception on some level. The Melbourne Storm will appoint a new CEO and a new Board in the near future to help revive the club. If any fraud was involved - the Victorian Police will be asked to investigate. As the Deloitte report will not be released in full to the public - any future action will be done so privately (until leaked of course...). It was revealed that News Limited's normal financial commitment was $6 million per year, in 2010 this figure will likely be closer to $14 million. Hartigan said that News Limited had no plans to sell the Melbourne Storm team to anyone until these off-field issues were addressed and the club was set back on course to 'win a premiership fairly'. John Hartigan was forthright - 'the club will take its medicine' for the serious breaches of the NRL's Salary Cap. When pressed on ex-CEO Brian Waldron's role in the cap rorting, Hartigan only said he had already wasted enough breath on naming him in the summary in the first place. Both Hartigan & Macourt admitted that the Melbourne Storm were a vital part of the National Rugby League and they were committed to making the team a long term proposition - something the new AAMI Park stadium had gone a long way in ensuring from a financial perspective. Update 2pm - NRL CEO David Gallop said at a press conference that he is surprised at the final figure of the Storm's Salary Cap breach but the NRL's punishments will remain in place. Update 2:45pm - Rather impressively the Melbourne Storm's Official Site has a comprehensive breakdown of the Deloitte Findings - you can view it here on their site or see it below. A full recap of these findings plus our own insight into what the future holds for the Melbourne Storm will be available in NOT The Footy Show Podcast & Video. (Both will be uploaded to this article when finished). For more excellent coverage on the Melbourne Storm Salary Cap Fall-Out check out the Sydney Morning Herald. Official Release on Melbourne Storm Website regarding Deloitte Findings. News Limited today received a report of summary findings of the forensic investigation by independent accounting firm Deloitte into the salary cap breaches by the Melbourne Storm Rugby League Football Club. As a result of Deloitte’s report, News Limited estimates that the total value of salary cap breaches by the club between 2006 and 2010 is up to $3.170 million, an approximate 83% increase on the original NRL estimate of $1.735 million. This amount could be lower or higher because players, managers and other third parties opted not to provide information to Deloitte or News Limited during the investigation. However, News Limited believes it is most unlikely that the amount will be materially lower. The breaches are significantly higher than first estimated by the NRL in each year between 2006–2010, including in 2007 and 2009 when the Melbourne Storm won the NRL Premiership. The original estimated breach for the 2010 season by the NRL of $700,000 has blown out to a possible $1,027,968, an increase of 47%. This amount could be lower or higher if further information is provided. The estimated likely excess of player financial commitments over the salary cap of $4.1million for 2011 is $1.325 million, and again, as not all parties have fully co-operated this number could be higher or lower. A year by year comparison between the original NRL estimates of the Storm’s salary cap breaches and the findings of the Deloitte investigation are shown on the following table. Based on information available to it, Deloitte examined the club’s financial commitments to the proposed top 25 players to be paid for the 2011 season. Player commitments for 2011 are those required to be included in the club’s top 25 salary cap calculations under the NRL rules. The Melbourne Storm has financial commitments in place with players for 2011 of possibly $5,425,188, which is $1,325,188 in excess of the salary cap of $4.1million. These calculations are based on work performed by Deloitte as at 4 June 2010. On 22 June 2010, the NRL announced an increase in the salary cap of $100,000. If this change is taken into account, News Limited expects that the Melbourne Storm is forecast to be a possible $1,225,188 over the salary cap in 2011. There have been media reports that people associated with the club believe the NRL should reinstate the 2007 Premiership, based on a belief that the estimated breach of the salary cap in 2007 was about $273,000. Those calling for the reinstatement of the 2007 Premiership have noted that the club’s salary cap breach in 2007 was similar to the breach by the club in 2003 of $261,912 and that the penalty for that breach was a fine of only $130,956. Following the forensic investigation, it is News Limited’s view that the actual breach in 2007 was an estimated $551,032, 110% higher than the breach in 2003. Similarly, News Limited now believes that the actual breach in 2009 when the Storm won the Premiership was an estimated $964,877, higher again than the breach in 2007. Combined with the fact that the breaches occurred over 5 years, the findings made by Deloitte reinforce News Limited’s view that the penalties were appropriate. In certain cases, the Storm appears to have maintained a dual contract system with formal contracts lodged with the NRL supplemented by “side” letters between the club and some players that guaranteed additional payments and benefits. 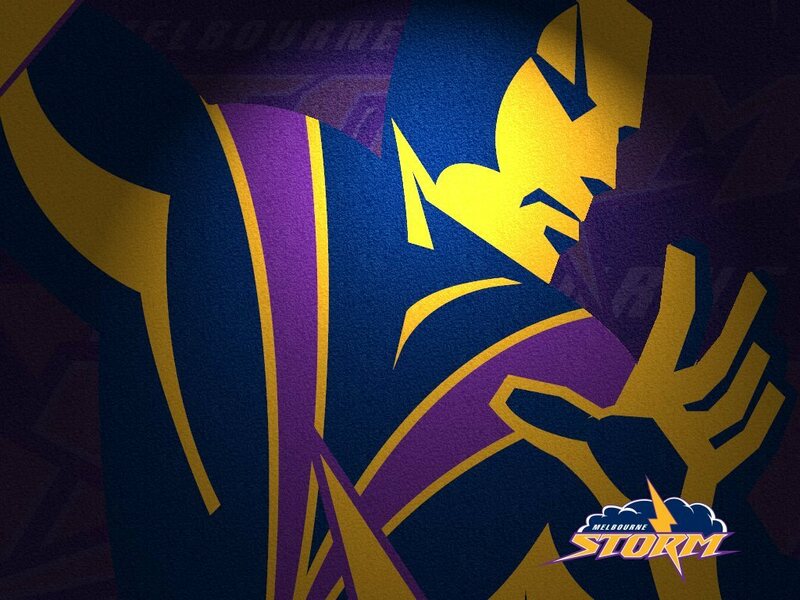 A file containing three “side” letters of offer to three players was obtained by News Limited from a file retained by the former acting CEO of the Storm Matt Hanson. The “side” letters include amounts to be paid to the players that are well in excess of the amounts in the contracts for the same players that were lodged with the NRL. The letters include guarantees of payments to the players via third parties. A guarantee of a payment to a player via a third party should be counted under the cap. All three letters are signed by former Storm CEO Brian Waldron. It has not been established whether the players who received these letters, were aware that the additional commitments in them were not disclosed by the club to the NRL nor if they contributed to the club breaching the cap. It is not known if other players received or signed “side” letters offering them payments and benefits in excess of their formal NRL contracts. Other additional payments were discovered by comparing letters of offer provided to certain players with the formal contracts of these players that were lodged with the NRL. Based on the forensic investigation, News Limited believes that many of the additional payments and benefits to players were either not disclosed or were recorded but not accurately described in the club’s books and records. The main method of payment involved the club arranging for third parties to “employ” and/or pay players. The third parties issued invoices to the club for amounts described as “donations” or “consulting fees”. The club paid the invoices and they were recorded in the accounts as “donations” or “consulting fees” and not as payments to players. • Underwriting and guaranteeing payment of an amount equal to the value of a television broadcasting contract for a player so that the player would be paid regardless of whether the television contract materialised. Melbourne Storm coach Craig Bellamy was interviewed by Deloitte on 17 May 2010. News Limited does not believe that Mr Bellamy was aware that the club was in breach of the NRL salary cap or that he knew what amounts individual players were paid, either by the club or by third parties. On Friday 14 May, at Deloitte’s request, the club set up appointments so that Deloitte could interview certain players individually at appointed times on 17 May. None of the players turned up for their interviews that day. Further requests by Deloitte to interview those players have either been ignored or declined by the player or their manager/agent. In two cases, a player manager/agent agreed that Deloitte could interview their client but subsequently no arrangements were made by the manager/agent for the interviews to occur. A number of player manager/agents requested Deloitte to provide a list of documents sought in writing to which Deloitte subsequently received no response, with the exception of one player manager of a former Storm player. Deloitte made numerous subsequent efforts to secure the cooperation and involvement of those players via letters and email requests to player managers/agents and through representations made to players via club employees, including the club’s acting CEO Frank Stanton. Deloitte provided individual player manager/agents with a Confidentiality Agreement that obliged Deloitte to maintain confidentiality of any information provided by the player or their manager/agent. This Agreement was accepted by the Rugby League Players Association. None of the players or their manager/agents agreed to sign the confidentiality agreements or agreed to further requests for interviews. A further meeting between Deloitte and most players was held at the club on 9 June at which Deloitte again sought cooperation from the players and asked the players to provide copies of their NRL contracts, copies of any letters of offer from the club and copies of any other agreements between players and any third party. Deloitte has not received any of the documents requested. Three of the independent directors of Storm (i.e. those directors not connected to News Limited), namely Dr Rob Moodie, Mr Gerry Ryan and Mr Peter Maher declined to be interviewed by Deloitte. Deloitte interviewed the other independent director Ms Petra Fawcett. News Limited does not believe that Ms Fawcett was aware of the club’s salary cap breaches, or that she was aware of the payments to players through third parties. News Limited does not believe that Dr Rob Moodie was aware of the club’s salary cap breaches, or that he was aware of the payments to players through third parties. There is no evidence that Mr Gerry Ryan and Mr Peter Maher were aware that payments to players through third parties could have contributed to the club breaching the cap. The News Limited connected directors who have served on the board between 2006-2010 – Peter Jourdain, John Webster and Craig Watt – were all interviewed by Deloitte. News Limited does not believe that any of those directors were aware of the club’s salary cap breaches or that they were aware of the payments to players through third parties. Craig Watt who remains a director of the club has also been available regularly for questioning by Deloitte throughout the investigation. The News Limited connected director and acting CEO Mr Frank Stanton was also interviewed by Deloitte and has participated in regular meetings with Deloitte to respond to questions and provide information throughout the investigation. News Limited does not believe that Frank Stanton was aware of the club’s salary cap breaches or of the payments to players through third parties. Offers to attend a voluntary interview with Deloitte were extended to Brian Waldron, Matt Hanson, Paul Gregory and Peter O’Sullivan. However none of these people agreed to be interviewed. Hanson attended an initial meeting and agreed to answer written questions. Cameron Vale was interviewed by Deloitte on 20 May 2010. 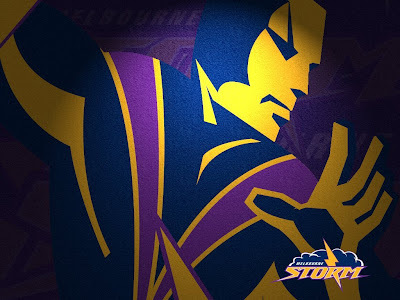 On 22 April 2010 the National Rugby League found that the Melbourne Storm Football Club had breached the salary cap by an estimated $1.7 million over 5 years between 2006 and 2010. The NRL stripped the club of its 2007 and 2009 Premierships, its 2006, 2007 and 2008 Minor Premierships and all competition points for 2010, and fined the club $500,000 and forced it to return $1.1 million in Premiership prize money. Melbourne Storm has commenced proceedings challenging the imposition of those penalties. The NRL is defending those proceedings. Deloitte was appointed by News Limited to conduct a forensic examination of the club’s financial affairs on 22 April, 2010. A team of 5 investigators from Deloitte began work at the club’s premises the next day. The investigation was concluded on 6 July 2010. Deloitte interviewed 18 people; 16 people associated with the club and two people from the NRL. A large number of people, including players, player managers and agents, independent directors of the club and third parties declined to be interviewed or provide information to Deloitte. The findings are therefore based on information provided during the interviews and on a wide ranging and comprehensive review of the club’s accounts, electronic records and hard copy documents at the club and some found elsewhere. In total, electronic records produced by 28 people that were stored on hard drives, back-up tapes, desktops, laptops and portable media devices were part of the original scope of the investigation with the records pertaining to 12 people analysed in further detail. In total, more than 163,000 individual documents were reviewed as part of the investigation. In conducting the investigation, Deloitte has interpreted the NRL rules and regulations as published in the relevant periods of the investigation. Deloitte are not NRL salary cap auditors and therefore their conclusions may not be the same as those reached by the NRL Salary Cap Auditor – where possible, Deloitte have sought to clarify any matters with the NRL Salary Cap Auditor. A detailed report from Deloitte has been issued to News Limited. The report includes a number of schedules detailing payments to players and a detailed description of the assumptions used by Deloitte in interpreting the NRL Salary Cap Rules. Deloitte has also provided News Limited with copies of letters, emails, email attachments, contracts, letters of offer to players and other records that are evidence of the findings. Comment: Full credit to the Melbourne Storm for publishing this summary - it certainly is worth reading two or three times. You've a nice blog. Right now the market has started to look up and individuals are starting to get jobs. Although, most of them are confused regardless of whether they're getting the suitable salary. They are able to verify this by looking at their salaries through online tools. One such website to assess salary mechanical engineers and other specialists is whatsalary.com.